I’ve always been a big fan of Gary Moore’s brand of rocking blues (or bluesy rock, depending on the song). This live set has some seriously inspired guitar work. I don’t know if it’s his best live album, but it’s very good. 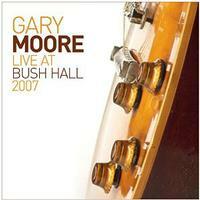 I’d personally say that you can’t have too many live Gary Moore albums. In a lot of ways, live performance is where he really did his best work. I’d definitely recommend this to anyone who likes electric blues or bluesy rock. 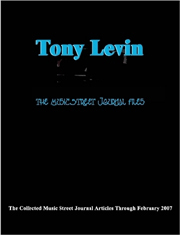 This review is available in book format (hardcover and paperback) in Music Street Journal: 2014 Volume 6 at lulu.com/strangesound. This smoking hot blues tune just plain rocks. It’s got some great slide guitar and is an excellent choice to start the set. Killer old school rock and roll, this is great. A screaming hot blues tune, as much as I liked the previous one, I think this is stronger. It’s such a scorcher. This hard rocking blues tune is not bad, but not a standout either. Here we get a ballad that’s quite effective. It’s a nice bit of variety, too. It’s quite soulful when it gets more powered. You can’t tell that anyone is tired on this screaming rocker. It’s another killer tune. It seems to run straight into the next tune. Seeming to come out of the previous number, this guitar solo is a real powerhouse. The first half of this extensive song is a slow, mellower blues romp. It sounds a lot like something Thin Lizzy would do. Then it fires out to a screaming version of itself from there. A guitar solo ensues after a while. This is basically Moore’s trademark song. I love this slow blues number. It’s right up there with the best of them. Another hard rocking blues tune, this is solid, but not a highlight of the set. This is a pretty traditional blues tune and a pretty effective one. I love the guitar soloing on it. There’s a singalong on this one. This is a back-porch, down home, acoustic slide blues tune. It’s good, but I’m not sure I would have ended with it.